What’s better than a Jessie Ware concert announcement? A Jessie Ware ticket giveaway. 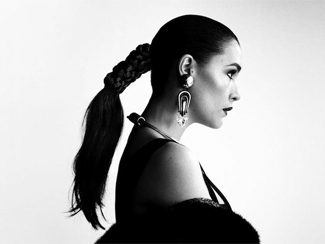 Paul ScalaReplicating success found overseas in North America has never been a sure thing, but for British electro-soul songstress Jessie Ware, it certainly seems more a case of “when” than “if”. The acclaim at home for her debut Devotion couldn’t help but get the buzz started in 2012 – I adored it enough to include it as one of my favourites of the year – but it’s only in 2013 that the campaign to conquer, or at the very least befriend, America has begun. A short string of dates in January – which included a visit to Jimmy Fallon for a performance backed by The Roots – acted as a warm-up, with the markets left out expecting that a more thorough tour would accompany the April 2 domestic release date. And that tour has been announced, but it again is quite compact, getting her from the east coast to Coachella just in six stops. Happily though, Toronto is one of those stops – we will host Ms. Ware at The Opera House on April 6 unless it gets moved to a bigger room, and I don’t think anyone would be surprised if it did. Tickets are $20 and go on sale this Friday at 10AM, but courtesy of LiveNation, I’ve got one pair of passes to give away for the show. To enter, email me at contests@chromewaves.net with “I want to see Jessie Ware” in the subject line and your full name in the body, and have that to me by midnight, February 7 – the winner will be notified before the on-sale happens so you can sit back and watch everyone else scramble for tickets. I mean that metaphorically, of course, because you can’t actually see people on their computers trying to buy tickets unless you’re a world-class creeper and world-class creepers are ineligible for the contest. House league creepers are welcome. Vice has a typically Vice-y interview with Jessie Ware. A bunch more concert announcements from yesterday, big and small – London (Ontario) folk-pop outit Olenka & The Autumn Lovers – themselves no strangers to my year-end list – will be welcoming lovers of all shapes, sizes, and seasons to Lee’s Palace on February 14; admission $10 at the door with couples getting in 2-for-1. Last year’s Garbage reunion continues with a show at The Sound Academy on March 28, tickets $35. And if you were wondering, I can attest that they put on a great show and aren’t shy about trotting out the hits. eMusic and Interview have features on Local Natives, whose sold-out March 28 show at the Opera House has been moved to The Phoenix and is thus no longer sold out, but probably will be again before too long. So get on that if you missed out – $21.50 in advance. And if you don’t want to wait, there’s a complete live performance streaming in HD for a limited time only – like the rest of today. Mysterious but aesthetically-pleasing LA-based soul-pop duo Rhye have put together a North American tour in support of their debut Woman, and will be in town at The Great Hall on April 13, tickets $15 in advance. Up-and-coming Seattle-based indie rockers Pickwick will have their full-length debut Can’t Talk Medicine available for sale on March 12 and will be on the road all over the place in support, including The Horseshoe on April 21 – tickets $12.50 in advance. Californian garage-rocking sister act Bleached will be at The Silver Dollar on April 25 in support of their new record Ride Your Heart, out April 2. Exclaim has album details and tour dates, and you can stream the first single from it below. Though they didn’t win over quite everyone on their debut North American tour, British buzz band Palma Violets are leveraging the February 25 release of their debut 180 and a Coachella appearance for some more dates on this side of the pond, including a May 3 date at Lee’s Palace. Tickets for that are $15.50 in advance. 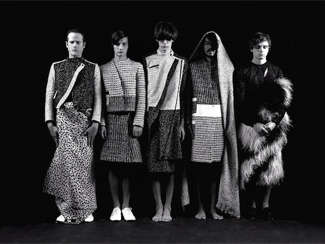 Unfortunate news as Vampire Weekend confirmed their continued existence yesterday by announcing the May 7 release of their third album – Modern Vampires Of The City – and subsequent tour dates, including a May 16 date at The Sony Centre. Tickets for that range from $33.50 to $44.50. Toronto’s own METZ have announced an absurdly extensive world tour in support of their self-titled debut and have managed to squeeze in a hometown show at Lee’s Palace for May 17, tickets $15. Maybe this is why they took so long to release their album – because they knew when they did, they’d never, ever sleep in their own beds again. How: Tickets for the show range from $30.75 to $55.75 plus fees but courtesy of LiveNation, I’ve got three pairs of tickets to give away for the show. To enter, email me at contests AT chromewaves.net with “I want a Vampire Weekend” in the subject line and your full name in the body. Entries due before midnight, August 31.